For the urban poor of the South, food is becoming a prohibitively expensive commodity. By the late 1980s, cities of the developing world had to import half their food supply. Urban agriculture, it is argued, can reduce this dependency. But most Southern governments do not support it. 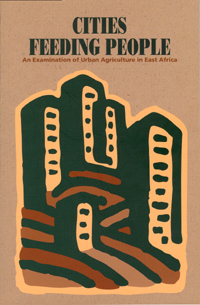 Cities Feeding People examines urban agriculture in East Africa and proves that it is a safe, clean, and secure method to feed the world's struggling urban residents. It also collapses the myth that urban agriculture is practiced only by the poor and unemployed. Cities Feeding People provides the hard facts needed to convince governments that urban agriculture should have a larger role in feeding the urban population. IDRC and the Oak Foundation seek expressions of interest from Indonesian think tanks.